Apple has announced two new iPads just days before its March 25 event where it will announce its video streaming service similar to Netflix and Amazon Prime Video. 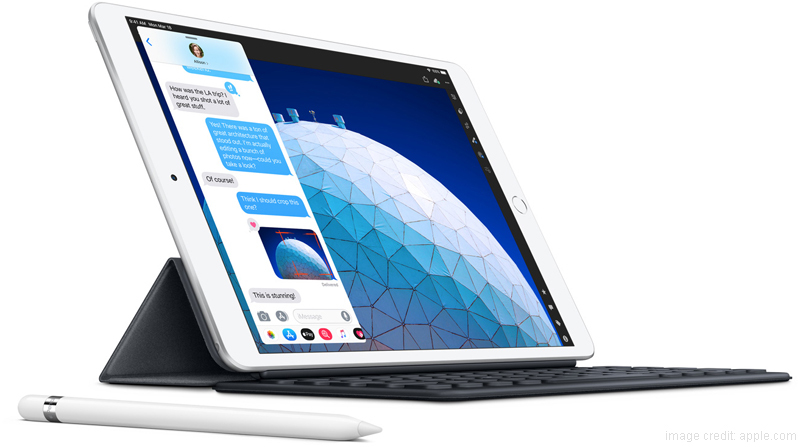 The two iPads called Apple iPad Air 2019 and Apple iPad Mini 2019 come with similar specifications and are also powered by the same Bionic chipset. 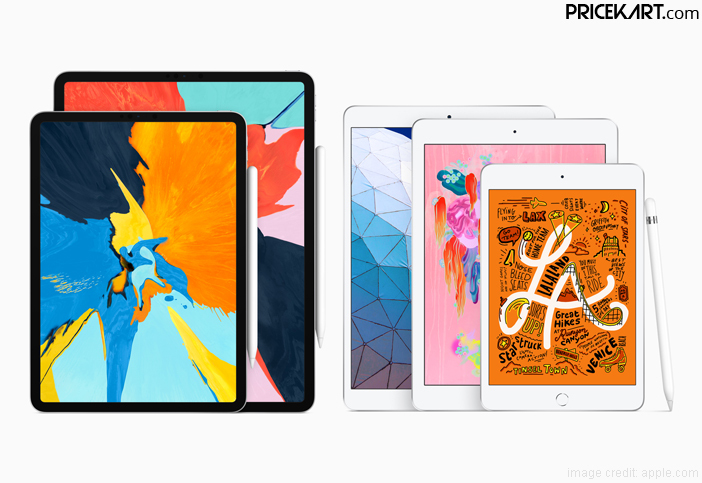 Interestingly, these new iPads are claimed to be as powerful as the 2018 iPad Pro and they come with reasonable price tags which makes them a better choice. iPad Air will sport a 10.5-inch display and the iPad Mini will feature a 7.9-inch display. Both these devices will be made available in silver, space grey and gold colour variants. Additionally, you can choose these iPads either in a 64GB or 256GB variant. As for the price, iPad Air Wi-Fi model will come with a price tag of Rs 44,900. Similarly, the iPad Air Wi-Fi + Cellular model will be priced at Rs 55,900. On the other hand, the Apple iPad Air Wi-Fi model will come with a price tag of Rs 34,900. 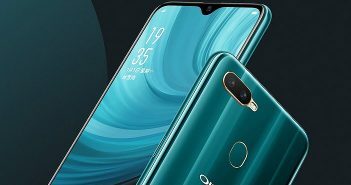 And, the Wi-Fi + Cellular model will be priced at Rs 45,900. Furthermore, both the iPads support Apple Pencil. The Apple Pencil can be brought for Rs 8,500. Also, iPad Air supports Smart Keyboard which is priced at Rs 3,500. This iPad sports a 105-inch Retina IPS LCD display with a screen resolution of 2224 x 1668 pixels. The display is further protected by a scratch-resistant glass. 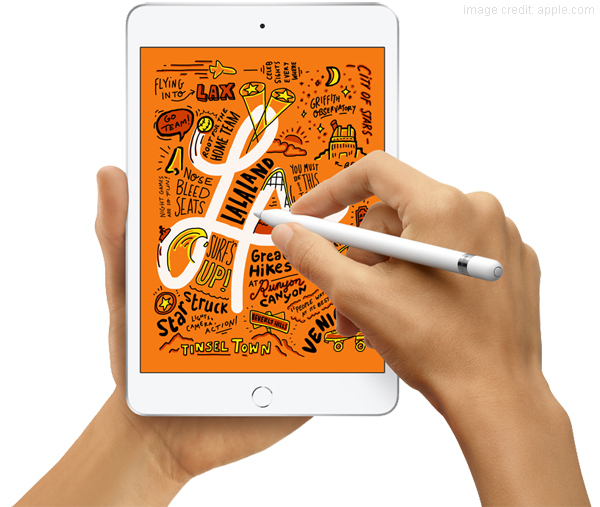 iPad Air supports Apple Pencil, stereo speaks and a 3.5mm headphone jack. Just like fingerprint scanner mobile phones, even this iPad supports a Touch ID fingerprint sensor. 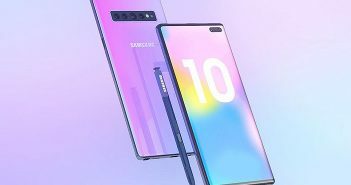 Under the hood, it runs on the latest Apple A12 Bionic chipset. For storage, the device supports 2GB of RAM along with 64GB or 256GB of internal storage. The Wi-Fi + Cellular variant of the iPad support an eSIM and 4G LTE networks. Moreover, the iPad is backed by a 30.2Wh battery which can last for 10 hours on continuous usage. For photography iPad Air comes with a single 8MP rear camera paired with f/2.4 aperture. 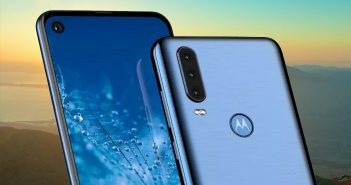 The rear camera will also support features like HDR, autofocus and 1080p video recording. On the other hand, the front panel of the iPad will also feature a single 7MP camera with f/2.2 aperture. You can see a similar camera setup even on the latest Apple iPhones in India. iPad Mini is similar to iPad Air in terms of design. The only difference between the two is that iPad Mini comes with a smaller 7.9-inch Retina IPS LCD display with a screen resolution of 2048 x 1536 pixels. Additionally, even the display on this iPad is protected by a scratch-resistant glass. Even this iPad supports Apple Pencil, Touch ID fingerprint sensor, 3.5mm headphone jack, lightning port and stereo speaks. For its power, iPad Mini is powered by Apple’s latest A12 Bionic chipset paired with 2GB RAM and 64GB or 256GB internal storage. Even the camera specifications include an 8MP rear camera and a 7MP front camera. It is fuelled by a smaller 19.1Wh battery which can also last for 10 hours on continuous usage.